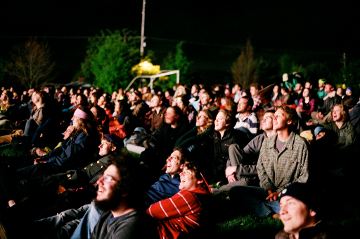 Hal Amen spotlights 10 of the 100+ Obscura events he most wishes he could attend. It’s an ethic that jives with Matador values. After spending a couple hours browsing the 100+ happenings going down April 9, I wanted to share the ones I most connected with. Some, incidentally, have been written about at Matador in the past. I can’t make it to any of these myself, but if you’re in the area, I urge you to attend and report back here. After a drilling accident exposed a huge pocket of natural gas in the Karakum Desert, the decision was made to ignite the gas to prevent it from discharging into the atmosphere. Forty years later and the fire’s still smoldering. Trips readers may remember this one from Photo Gallery: The Most Alien (Human-Made) Landscapes on Earth. 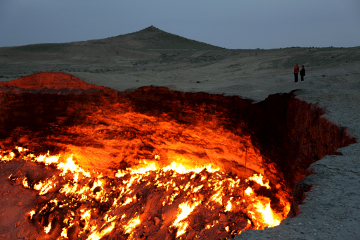 Take a tour with a local guide to see the “Gates of Hell.” Email dylan@atlasobscura for more information. This event (free, donations encouraged) will feature the use of an actual camera obscura to capture images of Detroit. Hendrick’s Gin — who’s partnered with Atlas Obscura at a lot of these gigs — will be flowing. For more reasons to visit the city, check out Detroit Is for Lovers. There is no pickled vegetable dish more dear to me. Somehow, in two years living in Seoul, I never made it to the Kimchi Museum. Wish I could head back for this. The kimchi making class starts at 10am and costs 20,000 won (~$20USD). They’re asking folks to arrive a little early. Please send all tips gathered to hal@matadornetwork.com. You will make me very happy. 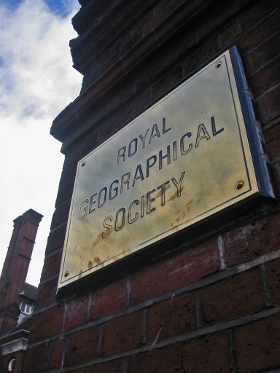 Let me try to qualify my impressions of / reactions to the RGS, with the disclaimer that I’ve only read about it in historical accounts, never been there. So, very intrigued by the Adventurists Film Festival and discussion that’s happening there April 9, starting a noon. And, of course, the booze, courtesy of Hendrick’s. Tickets (£15) can be purchased through the link above and at the door. One of the day’s “premier events,” the Moonlight Row will be a 30min private scull trip down the Pasig River in Manila. The bartender at the Manila Boat Club has mixed a specialty Hendrick’s cocktail for the occasion. As of this writing, only 2 spots remained (tickets, $2). Get over to the reservation page now to see if you’ve missed out. What happens when drunk people play with Legos? That question would be enough to get me to Brickmania, between 7 and 11pm, to find out. Ever since I read A Beginner’s Guide to Foraging for Food, I’ve been into it. Not doing it, but really digging the idea. I would like to learn more. 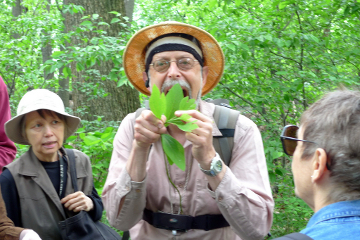 $20 gets you 1.5 hours of instruction and supervision for finding “edible and medicinal wild herbs, shoots, greens, flowers, roots, and mushrooms” in Central Park. Tours start at 10am and 12:30pm and leave from W. 103 and CPW. Plenty of spots left. Paris’s daytime event is sold out, but you can still get into the after party. It’ll take place at Dorothy’s Gallery and will focus on the visit earlier in the day to the Jardin d’Agronomie Tropicale, a public garden engulfing the remains of a 1907 colonial exhibition structure. Through the mediums of photography and field recordings, we’ll be investigating the questions of memory, ruins and the urban wilderness that are posed by this environment. What’s more, with cocktails provided by Hendrick’s and ‘obscura’ snacks being offered by one of Paris’s underground caterers, we’ll also be able to celebrate the conclusion of Obscura Day in style! Adam Roberts from the blog Invisible Paris will lead the event. Tickets are €6.00 and must be purchased by April 8. Would be pretty cool, I imagine, to sneak a peek at this thing. There are about 15 tickets ($2) remaining. Government-issued photo ID required. No photography. Yup, Obscura Day 2011 is being celebrated on all 7 continents. This is a special year for the Big South, marking 100 years since Amundsen and Scott’s race to the South Pole. Not much info on what’s going on, and definitely no tickets being advertised, but hey — it’s Antarctica! Again, if you attend any of these or other Obscura Day events, we’d love to hear about it in the comments.